On November 4th, Boom! Kids will launch their new Donald Duck & Friends series with issue #374 (pre-order here). It’s the first new issue of Donald Duck & Friends in almost three years. The series originally started in 1952. 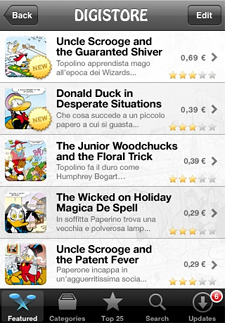 Boom is kicking off Donald Duck with another series from the pages of Italian Topolino. 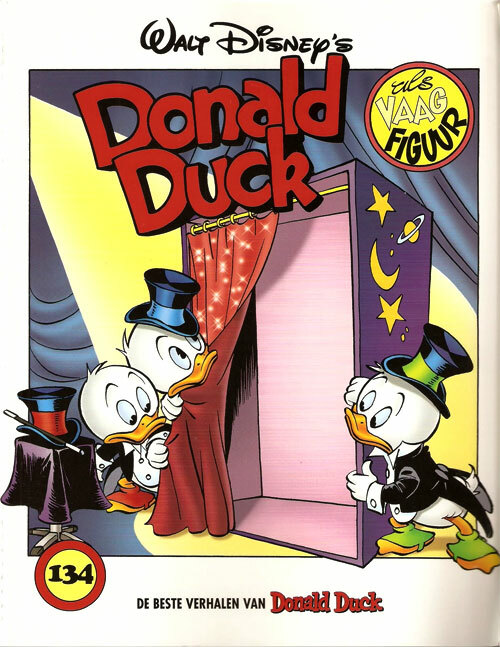 This 142-page saga is titled DoubleDuck featuring Donald as a secret agent. It was written by Fausto Vitaliano and Marco Bosco with art by Andrea Freccero, Francesco D’Ippolito, Marco Mazzarello and Vitale Mangiatordi. Swedish comic artist Joakim Gunnarsson recently bought two folders with scripts and plot ideas by Carl Barks and today Joakim posted that he found script pages from late 1961 or early 1962 for an unfinished Uncle Scrooge story. 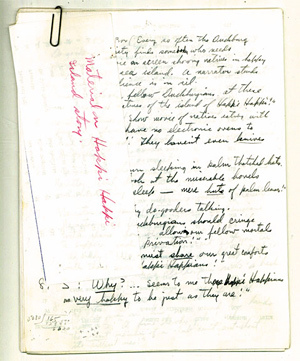 The title of the story is Happi Happi Island and on his blog Joakim describes the nine-and-a-half script pages of what would possibly have been a 20-page story. This is very exciting. It would be great if this material was published somewhere once, or even better: completed and drawn by someone like Daan Jippes. And who knows what other material is still out there! On October 14th, Boom! 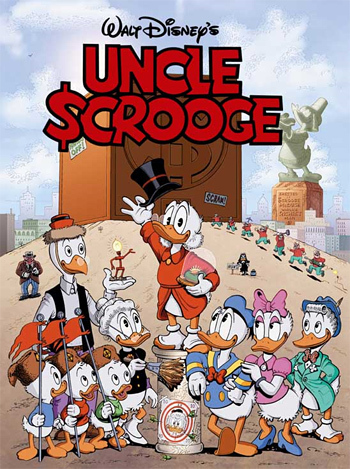 Kids will launch the Uncle Scrooge series with issue #384 (pre-order here). It’s the first new issue of Uncle Scrooge in almost a year. The ‘richest duck in the world’ made his debut in the Carl Barks story “Christmas on Bear Mountain” in 1947. 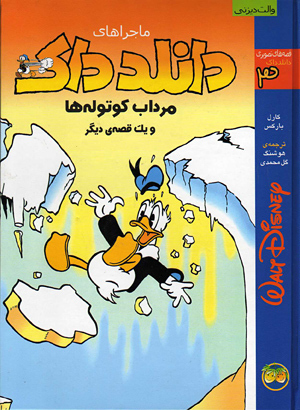 Barks used Scrooge a few more times in other Donald Duck stories and by 1953 the character had become popular enough for the publisher to grant him his own title. While all other three of Boom’s classic monthly Disney comics are featuring long Italian 3-tier stories, this is the first comic to use 4-tier stories produced by Egmont Comic Creation in Denmark. However, as you can see in the scans below, Boom has cut up the story to show three tiers on each page. An interesting choice. Boom is kicking off Uncle Scrooge with a series written by Swedish author Per Hedman with art by Argentinian artist Wanda Gattino. In the 6-part saga (this issue of Uncle Scrooge has the first chapter and part of the second) Uncle Scrooge and his nephews criss-cross through Europe in search of treasure as they are being chased by Magic De Spell who is, as always, after Scrooge’s Number One Dime. Cover A is by Tino Santanach, Cover B is by Daniel Branca and an exclusive third Don Rosa cover is available at the Baltimore Comic-con this weekend. A new announcement on the Boom! Studios blog talks about an exclusive variant Uncle Scrooge cover limited to 500 copies that will be available at Boom’s booth at Baltimore Comic-Con 09 this weekend. The cover was hand-picked by Don Rosa and celebrates Uncle Srooge’s 62nd anniversary. This is an exclusive cover for Uncle Scrooge #384, the first new issue in the series in almost a year, which will come out on October 14th. This is a great cover and it’s also nice to read that Don Rosa is involved. I wish I could make it to Baltimore this weekend to pick up this limited edition Scrooge comic. Mr. Rosa is even listed as a guest at the event! A new magazine titled Disney Fan is launched in Mexico this week. The activity magazine features articles about everything Disney, as well as games and puzzles. 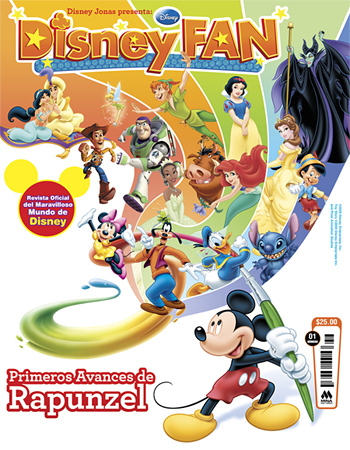 The first issue comes in two different collectible covers: one with animation characters and another with the stars of Disney Channel. The new magazine is published by Mina Editores and is available at newsstands across Mexico for 25 pesos (approximately US$ 1.85). Japan has had a similar magazine since the early 1990s, ãƒ‡ã‚£ã‚ºãƒ‹ãƒ¼ãƒ•ã‚¡ãƒ³ (Disney Fan), which is very popular there. The next new Disney comics series to be released by Boom! Kids is Walt Disney’s Comics & Stories. Launched in 1940, WDC&S is one of the longest-lived and greatest comics of all time. Issue number 699 will be released on October 7th. 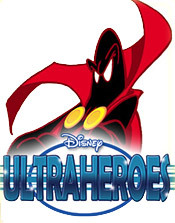 The series kicks off with the first chapter of a 9-part Italian multi-part series, originally titled Ultraheroes, which features all the superheroes of the Disney comics universe in an epic clash against the super villains to determine the faith of the world. The series was written by Giorgio Salati, Riccardo Secchi and Alessandro Ferrari and features beautiful artwork by Ettore Gula, Roberta Migheli and Stefano Turconi.